Clearly it was a mistake following @JeriLRyan on twitter. Up until now for thirty years ducklings in spring have reminded me of student days in Oxford walking around Christ Church meadow. 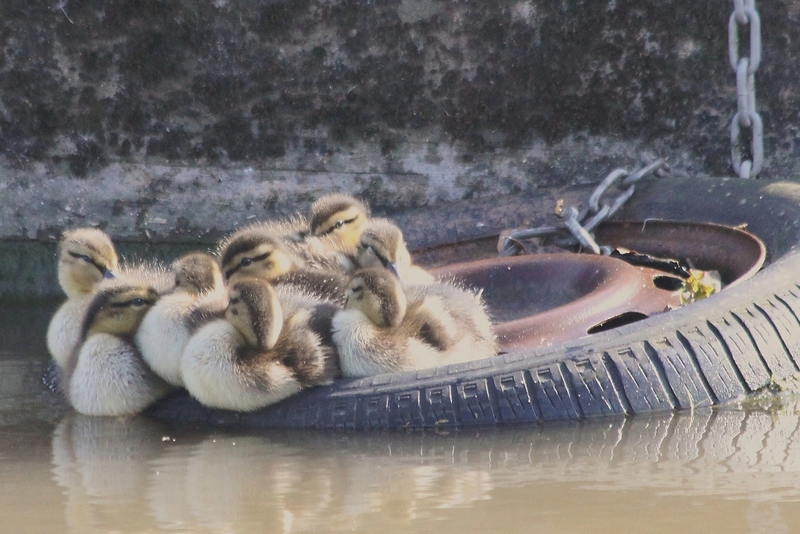 But today, walking along the Shropshire Union Canal near Market Drayton in the early morning sunshine, the sight of families of ducklings at frequent intervals along the bank reminded me instead of Jeri Ryan’s Daily Cute! Look, I’m not a “daily cute” kind of a guy. Really. But here they are. The tyre was doing duty as a narrow-boat mooring fender at the side of the canal. For the ducklings it was a convenient sun deck!